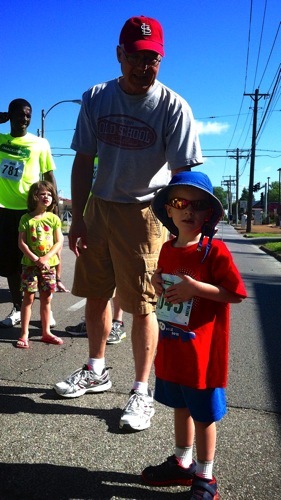 For the third year in a row I ran the Kids ¼ Mile Dash at the Macklind Mile race last weekend. 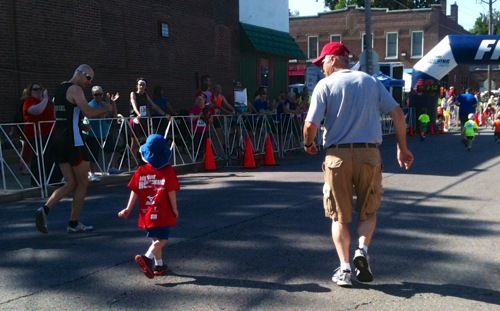 First Daddy and Grandma ran their races. Then it was my turn. I started with Grandpa. 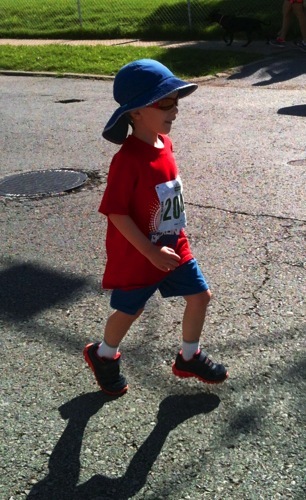 Then the race started and I was flying. 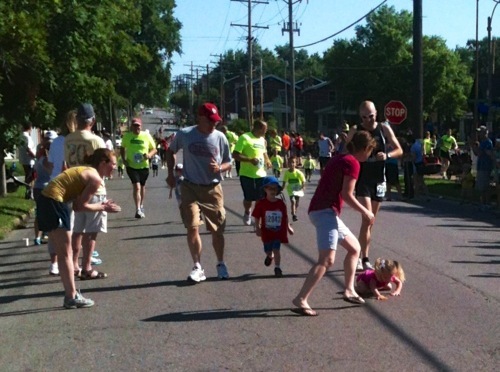 I was running neck and neck with our neighbor until she fell and I passed her.